This is the first trip where we’ve stayed at a hostel, and we ended up staying in a mixed (coed) dorm. There are several options when you’re choosing a room at a hostel, you can have a private room, a men or women only dorm, or a combined dorm. The dorms that you share with strangers are the cheapest. Prague didn’t have many inexpensive hotels or even Airbnbs, and they seem overpriced for where you’re staying. The tourism has increased so much over the years in Prague that people have been raising their prices. Our mixed dorm room consisted of 7 bunk beds and during the duration of our stay, most of the beds were filled. Staying at a hostel is probably the easiest way to meet people and make friends to go out for the night with. We stayed up talking to a few of the people and got to know a lot about where they’re from. It was fun to compare the stereotypes and differences about each of our cultures. There were people from Canada, England, Switzerland, Japan, Spain and the U.S. Most everyone went out to party late and sleep in late so our schedules didn’t align since we had to get up early to explore and work. When people would come back from partying they were loud and drunk. One of our dorm mates that we were talking to told us about a time he was almost peed on by a drunk guy in a dorm because he couldn’t find the bathroom (So glad I chose a top bunk). Some people snore exceptionally loud and others actually scream in their sleep. Yes, scream. We had a guy staying in our room who alarmed us a couple times throughout the night by yelling incoherent outbursts in a foreign language. Since we were asleep we were so confused about whether the noise was coming from the room or the street below since we had the window open. You have to share a single bathroom with a lot of people sometimes. 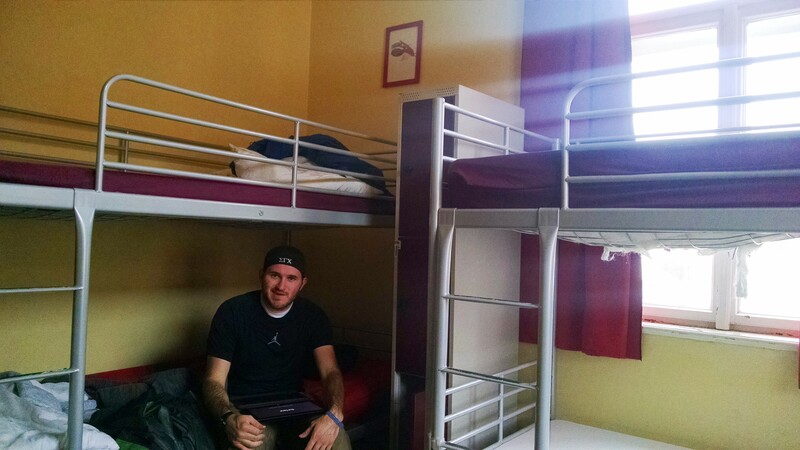 On the weekends during the high season in Europe the hostels apparently fill up to bursting point. For a group of 40 plus people who get to share one bathroom it can become inconvenient very quickly. 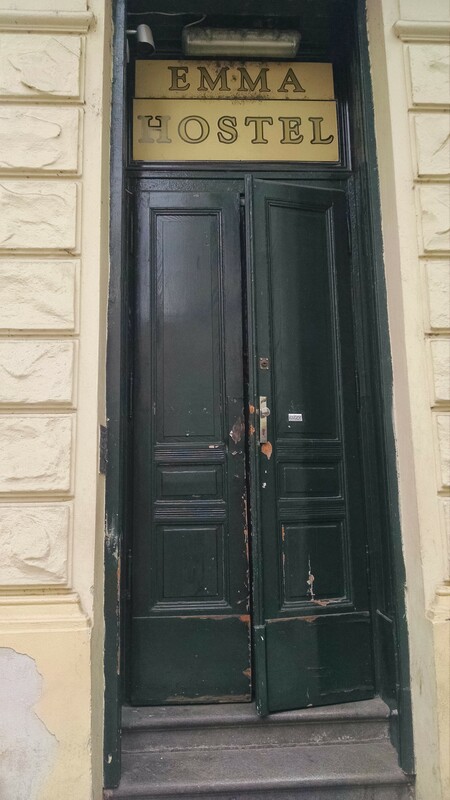 Also, the latch on the door was loose and could be pushed open if someone pushed hard enough on the door. Don’t doubt it ’til you try it! I’m not trying to stray people from using a hostel, or even a mixed dorm one, we actually enjoyed our stay overall there. It’s good to know what conflicts you might run into by staying in one, but if you’re okay with them then I definitely recommend it. Staying at hostels are cheaper, and always should be. It’s not like staying in a hotel, but more like a college dorm. It’s easy to meet and make friends quickly. We met people and right away they were asking what our plans were and wanting to meet up. I would recommend you either bring ear plugs or ear phones and music to listen to. Someone was playing their music in the other room loud enough to keep us awake and I would’ve had to wait for her to turn it off if I didn’t have ear phones. There’s also those loud snorers too! You learn a lot of travel information by talking to people at hostels. We were told of places to avoid where one of the guys got mugged, where there are good places to eat, what tours to do. We also learned about some of the places we will be traveling to later down the road. Have you stayed at a hostel before? What was your experience like? Love your posts so far! I haven’t been to Prague yet, but here it’s amazing! 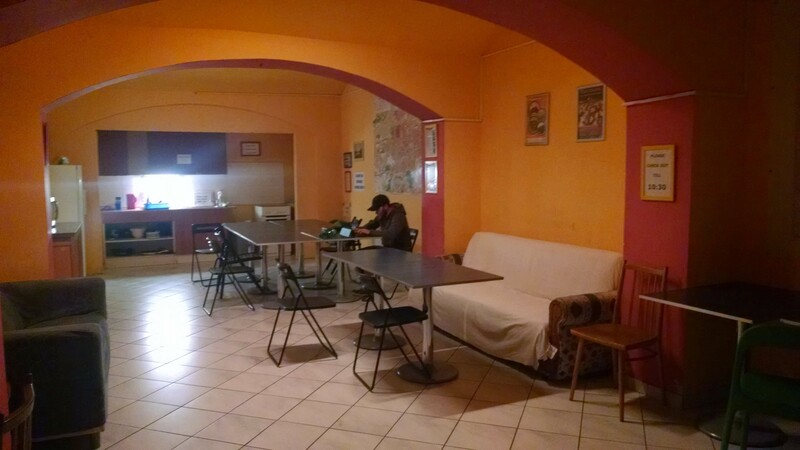 I agree with hostels-cheaper, meet people, get beta on things to do/not do, an adventure! I’m soo grateful for earplugs-made my stay in Munich during Oktoberfest last year doable! Happy 5th anniversary! I’ll miss seeing you in Moab this year, but looking forward to more posts from Europe! Dani, I love reading your posts. You guys are so cute. I love that you can/are doing this. It is an adventure of a lifetime. I wish I knew the names of the places you are taking pictures of. Oh well, I will have to Google it. Be safe. Love ya.